Every facility has it's First Class! 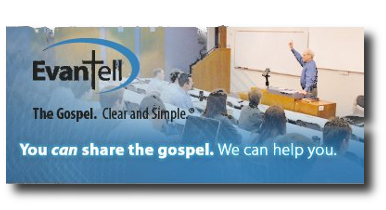 Evangelism Course titled "You Can Tell It"
The class can also be taken in groups as an intensive at different locations. * Please note that this course can meet by arrangement. It is available for individuals online or for groups in a traditional setting if we have more than three students. Contact Dr. Jon Hanson (jon.hanson@npbsonline.org) for more information. In addition, we are certified to present the "You Can Tell It!" seminar to interested groups. This seminar was developed by Dr. Larry Moyer of EvanTell Ministries (www.evantell.org). We offer the seminar in 4-hour or 2-hour formats. The short seminars are ideal for church and civic groups. We will work with you to set up and present a seminar at your location. Northern Plains Biblical Seminary is an equal opportunity employer which does not unlawfully discriminate, and seeks to hire persons regardless of race, color, national or ethnic origin, gender, disability, age, or other applicable protected class status.